Eleanor Farjeon fights with her brother one day. She knows it is not good to quarrel, but she can’t help it. 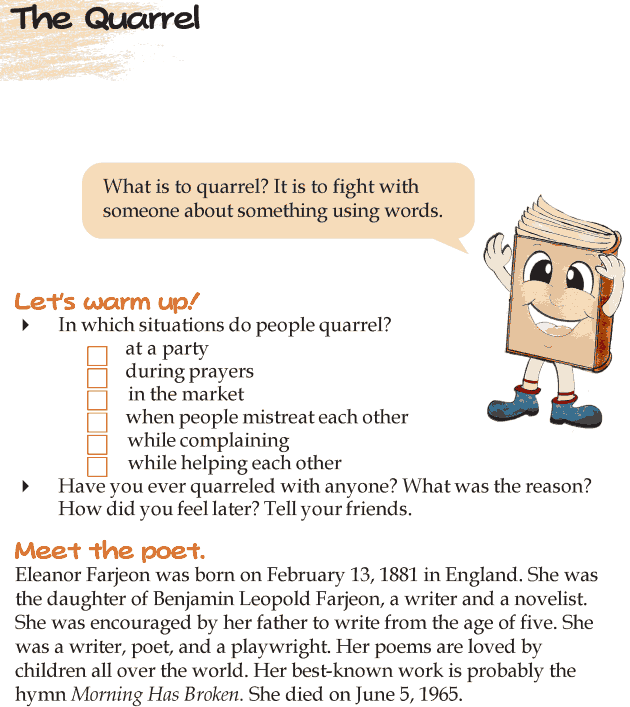 What happens after the quarrel? Do they make up? Do they talk to each other? Recite this poem and find out.